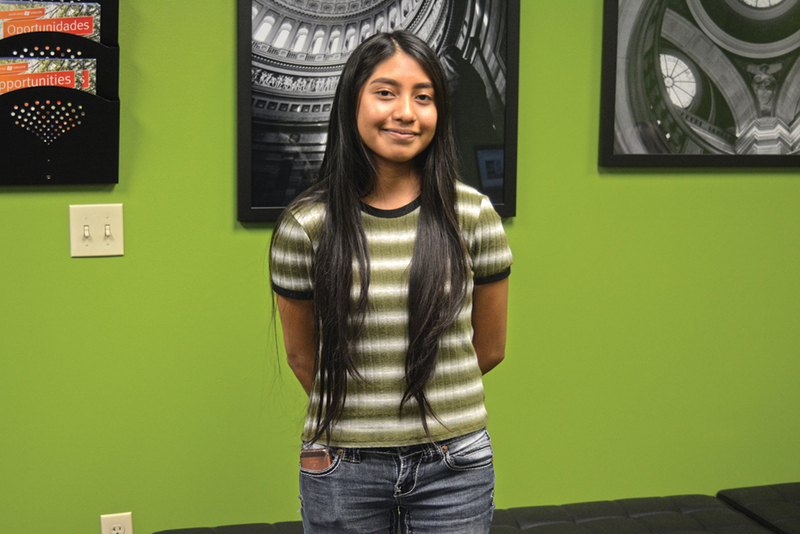 When applying for colleges to study political science, McNary senior Maria Cervantes went big. And that decision is paying off. Cervantes had never heard of Occidental College, located in Los Angeles, before finding out one of her role models, former president Barack Obama, had gone there before transferring to Columbia. “I wasn’t going to get into an Ivy League but I wanted a good school so I figured if president Obama went, it probably is a good school for political science,” Cervantes said. Cervantes was leaning towards staying close to home and attending Reed College in Portland until she got her acceptance from Occidental and saw the amount of money they were offering. Cervantes is receiving a $65,380 scholarship per year. Tuition at Occidental is $67,800. Cervantes isn’t sure how she received so much scholarship money. The application was just like all the other colleges. For the essay, Cervantes wrote about her parents moving to America from Mexico when she was just a baby. Cervantes’ interest in politics began in middle school when she started paying more attention to the news. She was also influenced by her older brother who graduated from Willamette after McNary. Cervantes has spoken to Occidental administrators over the phone and reached out to current students through social media. She’ll visit the campus for the first time this summer.